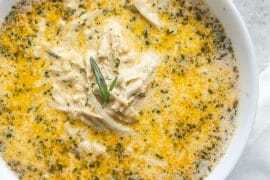 This week, I have a low carb chicken breast meal prep recipe! Chicken breast is always one of my favorite things to use when I meal prep. 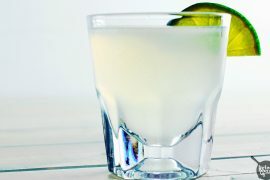 It’s incredibly versatile and seems to last forever in the fridge when made ahead. Whether I’m going for shredded chicken or keeping the breast whole, chicken breast is my tried and true go-to for meal prep. 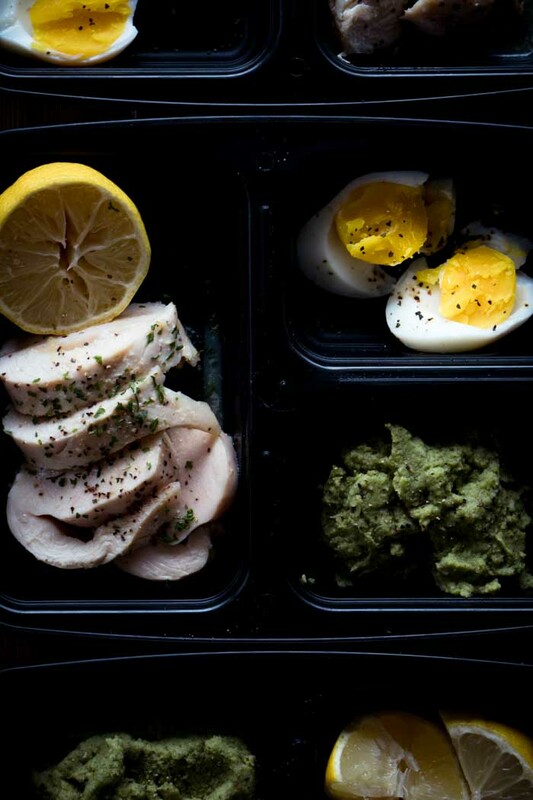 For this keto meal prep combo, we’ll make lemon butter chicken breast, mashed broccoli, and hardboiled eggs. When cooking for a chicken breast meal prep session, I think of how I’m going to be using the chicken. 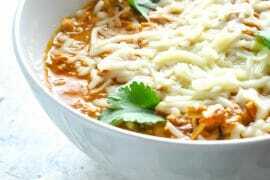 If it’s in soups, stews, or chicken chili, then I tend to boil or bake for easy shredding. Baking chicken breasts allows you to cook large batches at a time. And depending on how many dishes you can fit in your oven, you can have multiple different flavors going to keep things interesting throughout the week. Another way I enjoy cooking large batches of chicken breast is sous vide. With a water bath and immersion circulator, I can cook enormous amounts of chicken all at once to the perfect temperature. 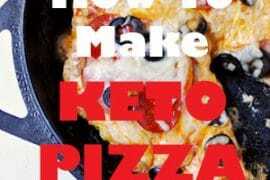 In fact, just last week when I made my keto chicken cordon bleu, I threw a bunch of chicken breasts in Ziplocs in the water to use for meals throughout the week. It’s super easy, minimal cleanup, and the meat is perfectly tender. If you’re getting into meal prep and are as carnivorous as I am, I would highly recommend looking into one of these sous vide kitchen gadgets! If you’ve got an immersion circulator, you can absolutely convert this recipe to make via sous vide methods. But for the sake of most of my readers, the instructions are written for the oven. 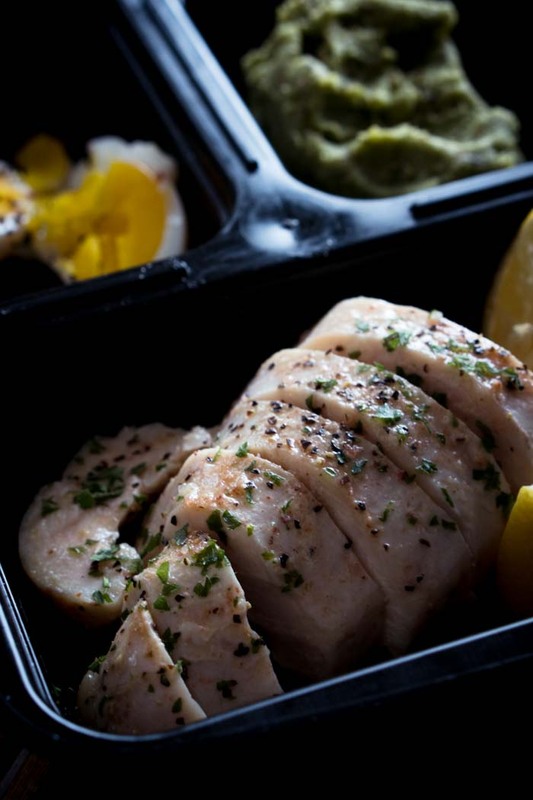 For the lemon butter chicken breast meal prep, preheat your oven to 400 degrees Fahrenheit. The chicken will be cooked separately from the lemon butter sauce. Coat chicken breasts with lemon juice, then season all over with salt and pepper. Line a casserole dish with the chicken breast and cover with foil. Bake for 20 minutes, or until the chicken breast internal temperature reaches 165 degrees Fahrenheit. Remove chicken from the casserole dish and let rest 5 to 10 minutes before cutting meat. Once rested, divide between meal prep containers. The lemon butter sauce is quite simple: butter, lemon juice, and a little bit of garlic are melted together in a saucepan over low heat. Drizzle the sauce over the chicken pieces or divide it into small dressing containers to use once reheated. I love adding a pop of color to my dishes, no matter how simple, so I garnished the meat with chopped parsley. Cilantro would be a great garnish as well! For the sides, a small scoop of broccoli mash and a hardboiled egg. 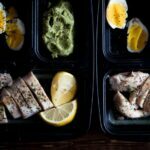 I made these up in big batches as well, so it was quick and easy to construct the meal prep containers. Just let the meal cool off for about thirty minutes before covering and placing in the refrigerator. Enjoy your easy chicken breast meal prep! 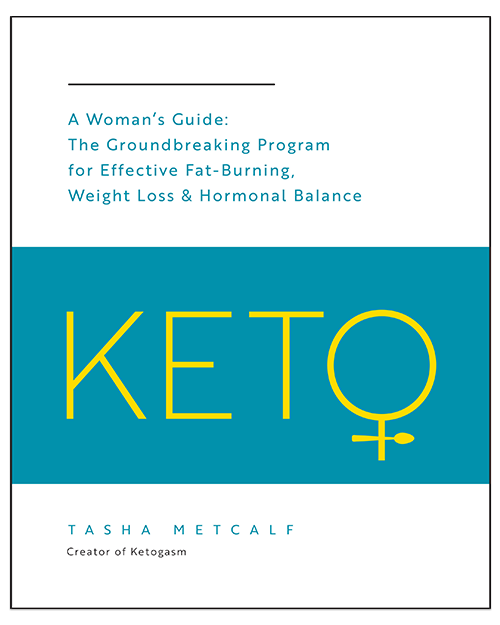 Looking for more keto meal prep recipes? 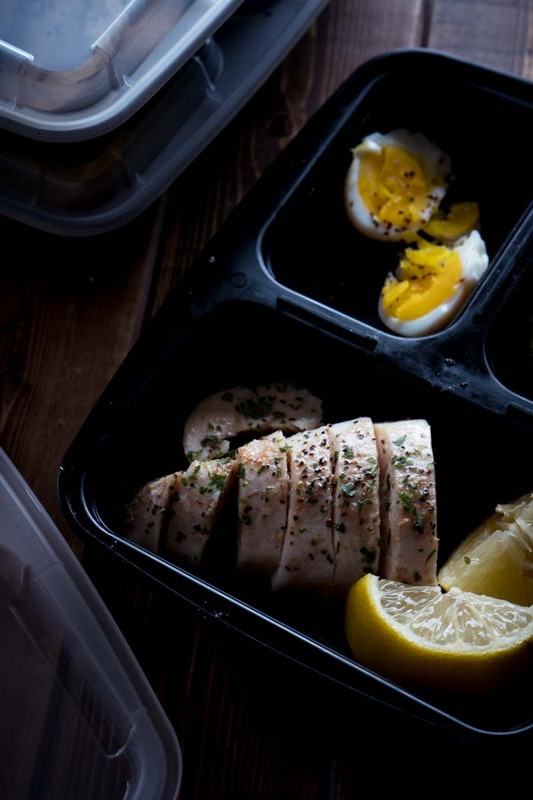 A delicious chicken breast recipe to meal prep your lunches for the work week! Coat chicken breasts with lemon juice, then season with salt and pepper. Place chicken breast in a casserole dish and cover with foil. Bake for 20 minutes, or until chicken breasts reach 165 degrees Fahrenheit internal temperature. Remove chicken breasts from oven and rest 5-10 minutes before slicing. 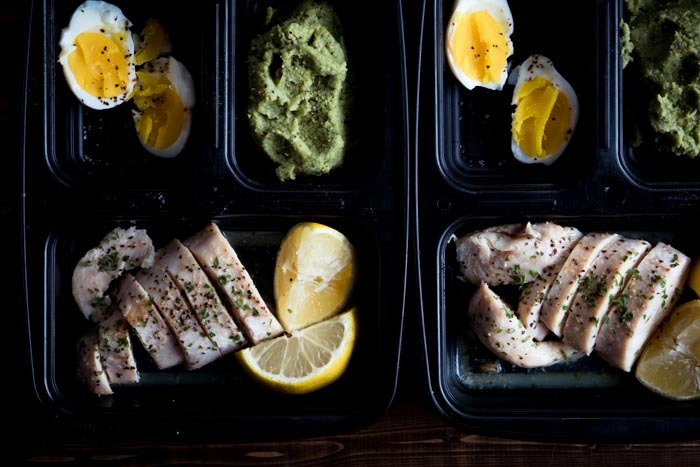 Slice chicken breasts into smaller pieces for easy reheating, then divide between meal prep containers. In a small saucepan over low heat, combine butter, lemon juice, and garlic. Stir until the mixture is fully melted and combined. Pour over sliced chicken or divide between dressing containers. Place 1/4 cup of broccoli mash and 1 hardboiled egg in each meal prep container. Allow chicken and sauce to cool for at least 30 minutes before placing lid and refrigerating containers. 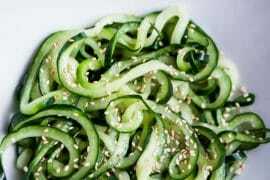 Refrigerate until ready to reheat, for up to 5 to 6 days. Thanks for the good dinner! On a side note: I’m not sure if it’s the lighting, but the chicken looks kind of raw. 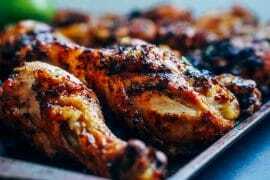 Make sure you all cook your chicken well, to avoid contracting Salmonella and other food borne illness-causing bacteria. I would aim for a few degrees higher than 165 degrees Fahrenheit, to be safe and sure the bacteria are all dead, especially in thick meat like chicken breast.